10 Biggest Fitness Mistakes You Might Be Making. Going to the gym can have different results for different people, based on the quality of the workout. Check out a few errors that can work against your progress and make workouts harder. Once you know how to avoid the biggest fitness mistakes, you’ll be able to maximize your workout potential and lose weight or gain muscle a lot more efficiently. Here are the most common bad fitness choices that you might be making without realizing it. Going to the gym without a proper plan on how to work out the muscle groups you need in order to achieve the desired results is a really bad idea. Winging it will only delay progress. Start by setting out your goals and making sure that you follow a plan that helps you get results. You might still get some benefits without a plan, but if you feel like you’re not making progress, you’re risking getting discouraged. One of the biggest fitness mistakes is believing that what works today will work tomorrow too. Once your muscles get used to the routine, you’ll get less and less results. Switching things up regularly is a good way to push yourself beyond your comfort zone and actually get the most you can out of your workout. Working out without stretching is a very bad idea, but stretching is also important at the end of your work out. Warming up decreases the risk of any injury, but even after the most active part of your workout is done, you should keep stretching. It’s good for both muscles and ligaments. The quickest way to lose motivation and one of the biggest fitness mistakes is overexerting yourself in the hopes of making faster progress. Even if you don’t injure yourself, ending up really sore after a workout is not something that should happen regularly. Alternate in between very active workouts and easier ones. If you take long breaks in between different types of exercise, you’re making another common fitness mistake. 60 seconds should be enough to rest. Extending that time to a few minutes can end up decreasing the effectiveness of your workout. Move it along because more time spent at the gym doesn’t automatically mean a better workout. 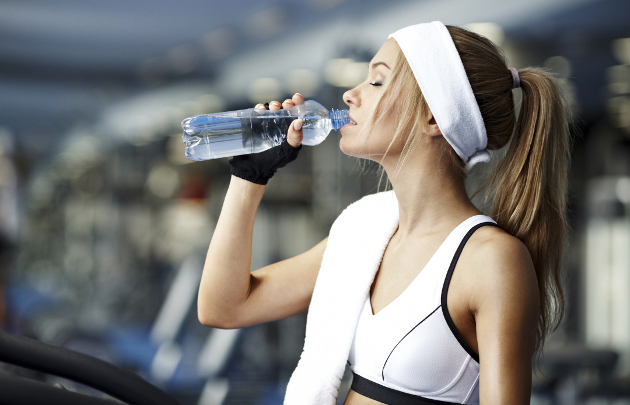 Training for a marathon and sweating profusely are good reasons to try sports drinks to replenish your electrolytes, but drinking them on a regular gym workout can end up as one of the biggest fitness mistakes. The high sugar content won’t do you any favors. If you really like the taste, at least dilute them with water, and choose a brand that focuses on actual electrolytes, without additives and high fructose corn syrup. Taking too long during reps isn’t good, but rushing through them just to get them over is very bad. Even though you might get the results you want, you’re putting yourself at risk. Doing reps in turbo mode doesn’t just raise your blood pressure very quickly, it also makes joint injury more common, especially during weight-lifting. Workouts on an empty stomach were a bad fad and one of the biggest fitness mistakes. Even though you’re exerting your muscles, if you’re not giving them the required nutrients to rebuild, then you won’t make a lot of progress. Be particularly careful when it comes to your protein intake. While constant soreness is a sign that something is wrong, you can’t tone your muscles without actually pushing yourself. For the best results, you should continue to do it, setting new goals as you start getting more fit and toned. Sticking to the same cardio workout doesn’t work in the long run. Even if you eat right and avoid the biggest fitness mistakes, you still have to make sure you’re getting enough rest. Without sleeping at least 7 hours a night, your body won’t have the energy to sustain good workouts and if you’re working out to lose weight, you’ll also make slower progress.